For streamers and viewers alike, one of the biggest aspects of streaming is community. Viewers love the opportunity to play games with their favorite streamer and to get to know the caster better. Discord is an awesome free tool that will allow you to engage with your community in a variety of ways. Often described as a combination of Teamspeak and Skype, Discord is a program that allows you to create free servers containing voice and text channels. You can create custom user groups, private voice and text channels, embed links, notify everyone in the server, and more. It’s sleek interface makes it appealing and easy to use. Discord is accessible via browser, desktop (Windows and Mac currently), and mobile devices. 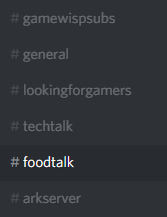 Discord is still in active development with friends lists, video chat, and screen sharing coming soon. Is Discord safe for streamers? Yes! The servers are hosted on Discord’s end, so your servers are protected from DDoS and your IP is safe. 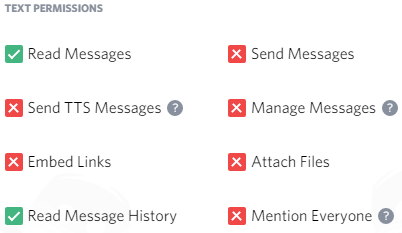 You can create moderation groups on your server that have permission to kick and ban trouble makers and delete bad messages. Set a minimum verification level to further discourage trolling. With Streamer Mode, you can automatically suppress notifications and private server information. If you are a streamer that enjoys interacting with chat and wants to build a community, Discord is an excellent way to help with that. You’re never too small to open up a Discord server. It’s free and easy for viewers to join. If you’re worried about trolls, just make sure your mods have adequate power. You can also define the basic user permission settings to prevent links or files from being posted. If you’re a small streamer and may not have many moderators, you could consider making these restrictions, and then forming a “Trusted User” type group that has more permissions and access to more channels. Promote members to this usergroup as you see fit. This can be a bit tedious, but if you are really concerned about trolls, it’s a reasonable option. How can streamers use Discord? Discord can be an extremely powerful tool for your stream. Let’s go over some ideas. Integration – If you are a Twitch partner, you can sync your server with your Twitch account and allow your subscribers to be automatically added to a special role. Give your subs access to extra channels, or if you have a large subscriber base you can make your entire server sub-only. Integration is also available for YouTube Gaming, Beam, Battle.net, Steam, and more. Check out the Discord StreamKit for even more services you can integrate with. Create sub-only voice channels to easily play with your subscribers. Create sub-only text channels to easily hold sub-only giveaways, gather feedback, and make private announcements. Not a Twitch partner? Create roles for supporters on your GameWisp or Patreon page. Community games – The voice channels make it easy to talk to viewers that are in-game with you. You can set up permissions for channels so only you can drag people into your voice channel or even force other people to use push-to-talk (disallow “Voice Activity” permission). Announcements – promote when you’re going live, giveaways, schedule changes, or anything else you’d like to broadcast to your community. Create a text channel that only you (or your mods) can write in but everyone can read. Use the @everyone tag to get the server’s attention (people can choose to mute this as it does get annoying if it’s overused, I would make sure the @everyone tag permission is mod-only). More than gaming – The text channels can serve to really allow your viewers to get to know you, outside of the stream. Create fun channels for topics like food, memes, or your favorite tv show. Your viewers will get to know one another better, which is helpful for forming a community, and they also get to learn more about you. Conversations in Discord can give you topics that carry onto the stream. Community servers – Do you own a game server for your viewers to play on? Create text and voice channels to encourage viewers to play together. Mod chat – If you have moderators for your stream, you’ll need a place to talk to them. Easily create private channels for your moderators to communicate with each other and you. Have we convinced you yet that Discord is awesome? Sweet! Here’s a few steps to get started on your server quickly. On the left side of the app, there’s a + sign. Click it and “Create a Server”. Your server name should be your stream name or your community name. Make sure to add your avatar that matches your stream and other sites. Don’t worry, you can always change these settings later. Welcome to your server! Let’s start by clicking the symbol with three horizontal lines in the upper left corner and going into “Server Settings”. Here you can edit your server name, set a verification level, and create different roles for your server. Create a “Moderator” role and bring your mods into the server (see Step 10). Your mods should have permissions such as kicking and banning members, and managing messages. Make sure your “everyone” group does not have these permissions! To add a member to a certain role, go to the “Members” tab, search for the username (they have to be in the server), and click the + sign under their name. You have + signs next to Text Channels and Voice Channels. That’s how you’ll make more channels. Start by making a “Rules” channel or something similar and outline how you’d like your Discord to run. I would recommend matching your channel’s rules. 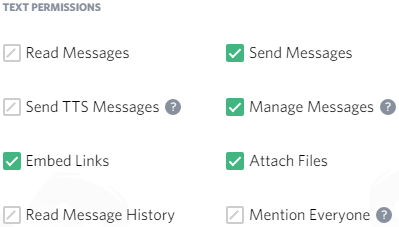 Set up permissions (by clicking the cog wheel next to the channel) so that the “everyone” group can read messages/message history but can’t write in the channel. Below are my permission settings for “everyone” in my Announcements channel. You can apply this concept for creating private moderator channels or sub-only channels. Okay, you’ve set up your various channels now, and you’re ready to bring in people! If you hover over any text channel, the icon next to the cog wheel for setting is the instant invite link. Click this and you’ll have a generated link that you can give to anyone. Notice there’s a 24-hour countdown. Click on advanced settings and you can customize when the link expires (or make it permanent by setting it to “Never”), the max number of uses, and other settings. I recommend making your Rules/Important channel the first thing people see when they join, so you’ll want to click the instant invite button for that specific channel. Want to experience Discord? 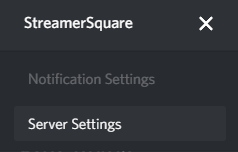 We’ve got our own StreamerSquare Discord server where you can chat with other streamers!